Share the story – your shopping style according to the stars! 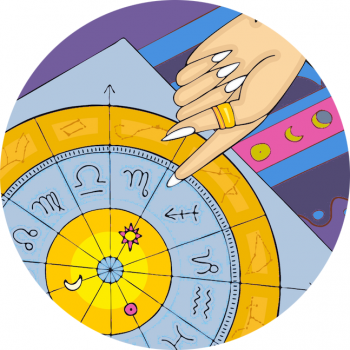 Is it possible that astrology drives our habits in and out of the stores? How to spot an amazing Aries when she’s shopping? She’s the loud one by the till, tapping her credit card. This babe’s got stores to conquer and the assistant’s too slow! Get out of her way during the SALES ladies – your Aries friend is ready for action and will pip you to the post! Elbows out. How to spot a true Taurus when she’s shopping? She’s in the top department store swinging by the delicatessen for a sample and sweet treat to delight in on her way round the shops. She’s feeling the fabrics and turning her nose towards the finest finds – it’s totally attuned to them, naturally. How to spot a Gemini when she’s shopping? Clue: she’s flitting in and out of the shops, mobile phone propped permanently under her chin while checking out the latest fashions. Or she’s the one chatting ten to the dozen in the changing rooms, back and forth with fun pieces for her friend to add to an outfit! A magpie, and perfect shopping partner. Cancer takes a nostalgia trip – rather than a shopping trip – down memory lane via their wardrobe, for her clothes are entrenched in history. Reluctant to clear out the cupboards, they’ve long-forgotten treasures to rediscover! No need for new. They like to feel their way around a shop and fresh purchases will have to tick a box emotionally for them to shell out. Pass the platinum card dahling – Leo’s arrived! How to spot a Virgo-born lass when she’s shopping? She’s the one checking the dress she wants for sloppy stitching and dangling stray threads – oh her critical eye! She’s a stickler for perfection, see. You might also spot her in the heath food aisle, perusing the labels for high vitamin content or quizzing the assistant on the best quality quinoa! A procrastinator extraordinaire, the Libra lady is likely to be pacing and deliberating in the department store, “Do I? Don’t I?” Just buy the bag already! Thankfully she’ll be the most diplomatic customer to return if she decides her buy wasn’t right. Style of shopping that’s best? Window shopping! Self-assured Scorpio knows her style instinctively; she rarely makes a fashion faux pas. You’re likely never to spot her shopping as she’s super discreet, and wants to keep her haunts secret! But wait, isn’t that her slinking out of the top lingerie shop in town?! How to spot a Sagittarius when she’s shopping? How to spot a cool Capricorn shopping? How to spot the Aquarius chick shopping? Pisces people uses their intuition when shopping. You’re a complex combination of many different celestial factors, so if the description doesn’t chime why not discover your other signs?